Congratulations! You have reached WayPoint 5. Your unsecured debt has been eliminated, your cars are paid for and the only debt remaining is your primary mortgage. WayPoint 5 is called the “Safety zone”. In the Nautical world, Safety Zones prohibit unauthorized entry thereby protecting sailors, mariners and fishermen by reducing the risk of collision, but they also protect the lives and equipment of those working in the safety zone. In the personal finance world, we equate the safe zone to saving 6 months of living expenses. Once you have this account fully funded, you are protected if and when an adverse situation occurs in your life. You are protected in this Safe Zone and will not be subjected to financial stress during a crisis situation. 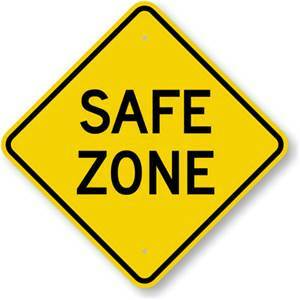 Your safe zone will take care of you during this time. The money you allocated to eliminate your debt will now be allocated to fund your Safe Zone. You should contribute to this fund until you have saved enough to cover six months of living expenses. If you ever face a crisis situation, we highly recommend that you eliminate or reduce all non-essential expenses until the crisis passes and your account is fully funded again.